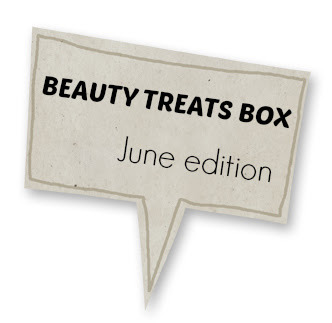 It's time for another beauty box, and this month I only bought one box that I'm most curious about which is the new Platinum Box from the Beauty Treats Box. 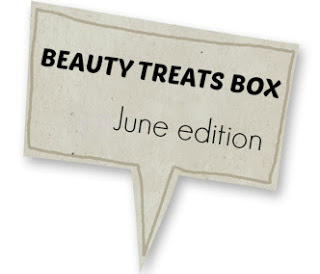 Last month Beauty Treats were busily announcing their newest service which is the Platinum box which is a little bit different than their original boxes which called Gold Boxes. So the original ones are called Gold Box, and the new (supposedly more exclusive) ones are called Platinum Box. The price is different between these two boxes. 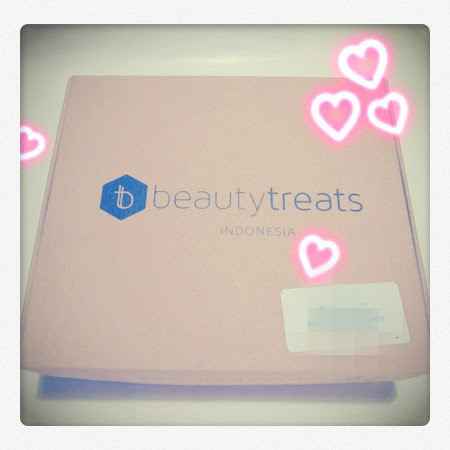 The Gold boxes are priced at IDR 95.000 which is the cheapest beauty box subscription in Indonesia right now, and it will be filled with lovely affordable Local and International brands. While the Platinum boxes are priced at IDR 135.000 and would be filled with local and International higher-end brands. Here's what I saw when I first opened the outer brown box, there's this month's catalog which I immediately skipped because I don't want to ruin the surprise by reading what's inside the box. Anyway, I did felt a little bit underwhelmed when I feel how light the box was when I first received it from the courier man. It surely not as heavy as last month's box. This is what the box looked like, and let's see what's on the inside now, shall we? I can already see that this box doesn't have that much items in it, and when I open the tissue wrap I saw a couple of items which I generally think did not fulfilled my expectations, especially when the Beauty Treats team have been promoting their platinum box in a big way last month. Maybe it was me who expect more or have high expectation but in general I did get a little bit disappointed with this first edition Platinum box. I mean, these items are generally no different than the usual regular boxes. I also found tiny sachet samples which I hate because tiny sachet samples like these are supposedly usually free from companies and should be counted as extras. I don't mind sample sachets if it's in a medium size sachets and if it comes with many of them which makes it possible for us to try out and see the results after using it a couple of times. But what can you get from just one tiny sample? And I don't mind sachets of body care products such as shower gels, body lotions, shampoos etc because you can use them for just one time to see if you like it or not, but when it comes to skincare you need a good amount of the product to really see if they works for you, right? If you get one tiny sachet of a skincare product you won't get any benefit out of it. That's just my personal opinion about sachets though ;p So anyway, let's just move on to what's inside this first edition platinum box now, shall we? The full size items in this box are the Masami Shouko travel mirror powder case which costs IDR 98.900 and the Menard Blotting Paper which costs IDR 49.500 so those alone are already worth IDR 148.400, which is more than what I paid for this box. There are only 6 small items in this box compared to last month's regular box that comes with 9 items total. And the tiny sachets are supposedly free from companies so in my mind they don't have any price and should be count as extras. Although I really appreciate the Make Up For Ever HD Powder they gave us but I already have this one so I'm not really most excited about it. I am most excited with the Menard Blotting Paper because it smells heavenly and it looks pretty exclusive. 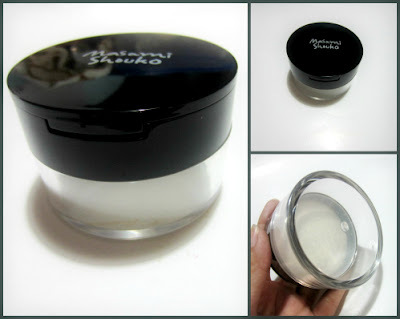 I'm also not sure about the Masami Shouko travel powder case because I think it is still big for travelling and would take some space in the bag, but I think I could keep it anyway just incase I need it. I can't really use the super tiny skincare sachets because i think it's quite useless to try them out in just a single use. I would appreciate it more if they send out 3-4 sachets of the same product instead of different single sachets. A few sample sachets of the same skincare product would be enough for several use so that we can really try out the product. But again, these are just my opinion. A 30gr round black case with mirror inside for storing pressed or loose powder. A must for travel. 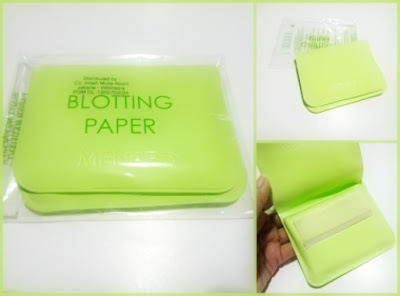 Soft and smooth papers for absorbing extra sebum on the skin surface without disturbing the makeup. Easy to handle. New sheet pops out automatically. An extremely fine powder in one universal shade to make the skin absolutely radiant. It sets the foundation and mattify the skin without changing its natural contours. Menard Fairlucent series uses stable vitamin C Derivative to restrain the production of melanin and prevent stains and freckles caused by UV rays. Contains Astaxanthin which has the ability to give more effective anti-oxidant. Great for anti-ageing and for a brighter and more photogenic skin. Ctrl-A series is an acne-treating skin treatment from Dr. Jart+ which can fight acne-causing bacteria and improve skin's immunity system to combat acne. In addition of the discount voucher from Astalift below, I also found other discount vouchers inside the catalog. The vouchers are from Kay Collection, Dr. Jart+, and from Zalora (which we always get every month). A Discount voucher from Astalift. Overall, I can't say that I was disappointed with this box because I did like the Menard blotting paper and I also like the small Make Up For Ever HD Powder which would be great for back up and for travelling. But other than those two I think this first edition box is not as hyped as the promotion was. Again, I may be setting my expectations too high but I just thought that they could done a lot better than this. I mean, this is their first platinum box anyway so they supposed to "wow" everyone, right? Hallo mba yuriii.. Salam kenal..
Isi box BTI platinum june edition menurut saya lumayan yah..
Kami yang subcrb gold, isi nya mencengang kan..
Hello, actually I also purchased the platinum june box. However, my opinion is same as yours. I kinda disappointed with the items that they gave.